It was a pleasure to present the RIAA Certified DragonForce Gold Record to my friend Larry DiMarzio. DiMarzio make my HLM Custom pickups, found on my Ibanez EGEN18 signature guitar. Happy Chinese New Year! It’s the year of the dog 🙂 ​​. 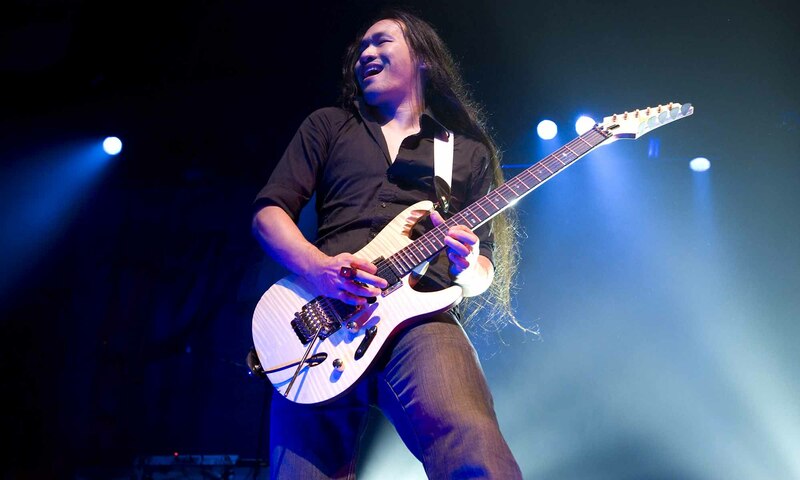 Born in Hong Kong, Herman Li (Chinese: 李康敏) is the guitarist, songwriter, and producer of the Grammy-nominated metal act DragonForce. In the last 15 years, Herman has established himself as one of the most recognised and influential guitarists of his generation. He is a two-time winner of the Metal Hammer’s Golden Gods ‘Best Shredder’ award and has topped four categories in Guitar World’s Readers Poll. Outside of DragonForce, Herman has performed with guitar legends Joe Satriani, Steve Vai, Tony MacAlpine, and Paul Gilbert, among others. Herman believes that to improve as a guitar player, it is important to understand the instrument as much as possible. To that end, Herman has worked to develop innovations for his Ibanez signature guitar series, the EGEN, which is equipped with the latest guitar technology. Herman is also interested in inspiring and coaching the next generation of guitar players and has contributed guitar lessons to publications such as Young Guitar (Japan), Total Guitar (UK), and Premier Guitar (USA). Outside of music, Herman’s interests include computer technology, martial arts and Porsche racing. He is fluent in Chinese, French, and English. 1999 – ∞ ©. Herman Li.